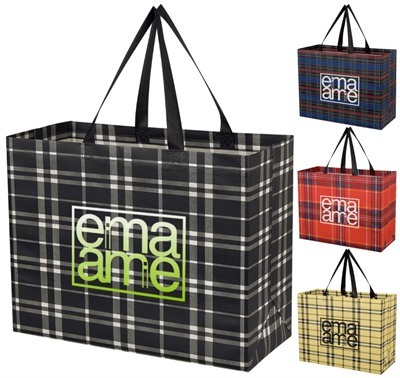 Carry your groceries or travel essentials in style with our customised Tartan Design Non Woven Bags. Mums and fashion-forward ladies will love these bags because of their winning design and convenience. The height is just perfect for you to easily reach inside, while the seams are heat-sealed for extra durability.